Please welcome our newest staff member, Jairo Gomez, who will be our Programs Coordinator at our Satellite Pantries! Jairo is a native SoCal resident, born in Mar Vista and raised in the San Fernando Valley. He has a Bachelor’s degree in Psychology from the University of Southern California. 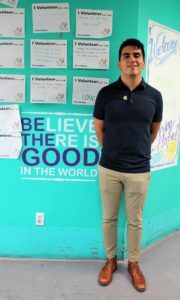 Prior to SFC, Jairo worked in medical billing, as well as interning with a few non-profit organizations, including 826LA and Parent Revolution. 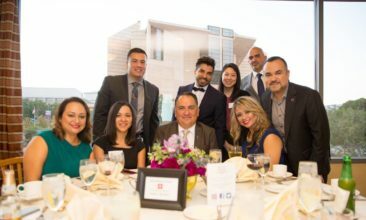 Jairo wanted to work at St. Francis Center, because he had been volunteering with a non-profit, called Family Promise of Santa Clarita Valley, which focused on assisting homeless families. He became interested in the issue of homelessness, and began looking for similar organizations where he could make a difference. In his free time, Jairo enjoys hiking, going to concerts, playing board games, and exploring different Los Angeles neighborhoods!